One of the pioneers of modern scientific thought. 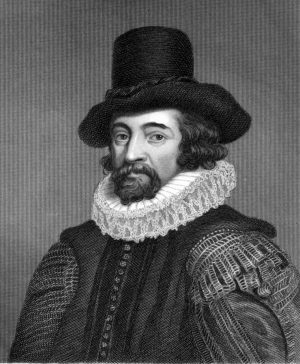 Bacon was born on January 22, 1561, at York House, in the Strand, London, and educated at Trinity College, University of Cambridge. Elected to the House of Commons in 1584, he served until 1614. He wrote letters of sound advice to Elizabeth I, queen of England, but his suggestions were never implemented, and he completely lost favor with the queen in 1593, when he opposed a bill for a royal subsidy. He regained the respect of the court, however, with the accession of James I to the English throne in 1603. Bacon proposed schemes for the union of England and Scotland and recommended measures for dealing with Roman Catholics. 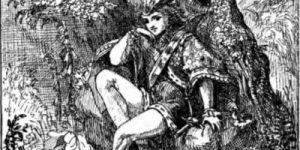 For these efforts he was knighted on July 23, 1603, was made a commissioner for the union of Scotland and England, and was given a pension in 1604. His Advancement of Learning was published and presented to the king in 1605. Two years later he was appointed solicitor general. In the last session of the first Parliament held (February 1611) under James I, the differences between Crown and Commons grew critical, and Bacon took the role of mediator, despite his distrust of James’s chief minister, Robert Cecil, 1st earl of Salisbury. On Salisbury’s death in 1612, Bacon, in order to gain the king’s attention, wrote several papers on statecraft, particularly on relations between Crown and Commons. In 1613 he was appointed attorney general. In 1616 Bacon became a privy councillor, and in 1618 he was appointed lord chancellor and raised to the peerage as Baron Verulam. In 1620 his Novum Organum was published, and on January 26, 1621, he was created Viscount Saint Albans. After his release, he retired to his family residence at Gorhambury. In September 1621 the king pardoned him but prohibited his return to Parliament or the court. Bacon then resumed his writing, completing his History of Henry VII and his Latin translation of The Advancement of Learning (De Augmentis). In March 1622 he offered to make a digest of the laws, with no further consequence despite repeated petitions to James I and James’s successor, Charles I. He died in London on April 9, 1626. Bacon’s writings fall into three categories: philosophical, purely literary, and professional. 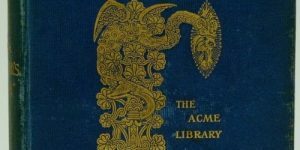 The best of his philosophical works are The Advancement of Learning (1605), a review in English of the state of knowledge in his own time, and Novum Organum; or, Indications Respecting the Interpretation of Nature (1620). Bacon’s philosophy emphasized the belief that people are the servants and interpreters of nature, that truth is not derived from authority, and that knowledge is the fruit of experience. Bacon is generally credited with having contributed to logic the method known as ampliative inference, a technique of inductive reasoning (see Induction). Previous logicians had practiced induction by simple enumeration, that is, drawing general conclusions from particular data. Bacon’s method was to infer by use of analogy, from the characteristics or properties of the larger group to which that datum belonged, leaving to later experience the correction of evident errors. Because it added significantly to the improvement of scientific hypotheses, this method was a fundamental advancement of the scientific method. Bacon’s Novum Organum successfully influenced the acceptance of accurate observation and experimentation in science. In it he maintained that all prejudices and preconceived attitudes, which he called idols, must be abandoned, whether they be the common property of the race due to common modes of thought (“idols of the tribe”), or the peculiar possession of the individual (“idols of the cave”); whether they arise from too great a dependence on language (“idols of the marketplace”), or from tradition (“idols of the theater”). The principles laid down in the Novum Organum had an important influence on the subsequent development of empiricist thought (see Empiricism). 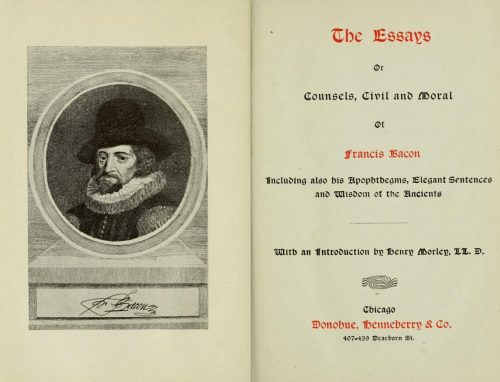 Bacon’s Essays, his chief contributions to literature, were published at various times between 1597 and 1625 and are worthy additions to the Classic Literature Library. His History of Henry VII (1622) shows his abilities in scholarly research. In his fanciful New Atlantis Bacon suggested the formation of scientific academies. Bacon’s professional works include Maxims of the Law (1630), Reading on the Statute of Uses (1642), pleadings in law cases, and speeches in Parliament. 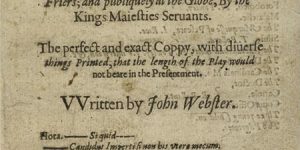 The theory that Bacon, rather than an obscure actor from Stratford-upon-Avon, is the true author of William Shakespeare’s plays has been thoroughly discredited.